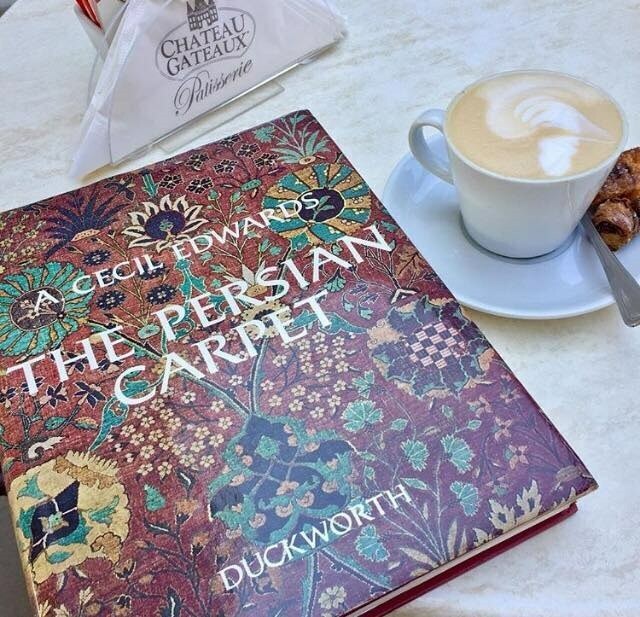 Mr Edwards were born in Constantinople in 1881 into a family who owned a carpet manufacturing business in Turkey. The company bought and produced Persian carpets for export to the United Kingdom. As an OCM employee, Edwards moved to Hamadan, north-western, in 1911, where he built and managed his own carpet production for the company. He and his wife were fascinated by Persian culture. In 1923, they left Iran, traveled to Pakistan for a few months, and finally went to London. There Edwards took over the management of the OCM and expanded its business activities in the United States. He also oversaw the outsourcing of carpet production to India in order to reduce production costs. During the Second World War the family moved to Oxford and then returned to London. His masterwork was The Persian Carpet (1953), published posthumously and repeatedly reissued. The monograph is still one of the standard works on the Persian carpet. It describes in detail the production, colors, patterns and the stylistic development of the Persian knotted carpet in the different provinces of Iran, as well as the history of the regions, their carpet production, number of looms and production figures since the end of the 19th to the middle of the 20th century, and gives an outlook on the future of the carpet industry under the influence of the European market. It was positively reviewed in The Burlington Magazine who praised it for its up to date and detailed treatment of the weavers then working in Persia. In August 2017 the book was still described in The Times as "an invaluable aid to carpet dealers".